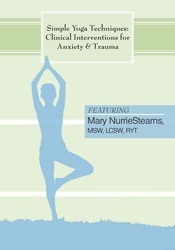 Mary NurrieStearns, MSW, LCSW, C-IAYT, teaches seminars and retreats to teach clinicians how to take mindfulness skills, brain based protocols for treating shame and office-based yoga back to their clients. These evidence based clinical interventions move therapy forward by improving emotional regulation, restoring healthy nervous system functioning and cultivating healthier thought patterns. Both mindfulness and yoga practices have brought healing and calm to Mary’s clients and students. 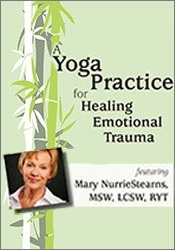 Mary is the author of Healing Anxiety, Depression and Unworthiness: 78 Brain-Changing Mindfulness & Yoga Practices (PESI, 2018), Yoga for Anxiety with Rick NurrieStearns (New Harbinger, 2010), Yoga for Emotional Trauma with Rick NurrieStearns (New Harbinger, 2013), Yoga Mind – Peaceful Mind with Rick NurrieStearns (New Harbinger, 2015), and Daily Meditations for Healing and Happiness: 52 Card Deck (PESI, 2016). 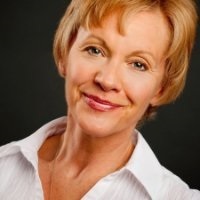 Mary is the co-editor of Soulful Living (Hci, 1999) and former editor of Personal Transformation magazine. 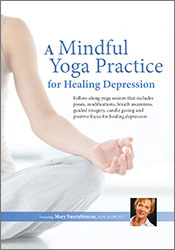 She has produced DVDs on yoga for emotional trauma and depression. Mary teaches across the United States. Nonfinancial: Mary NurrieStearns has no relevant nonfinancial relationship to disclose.